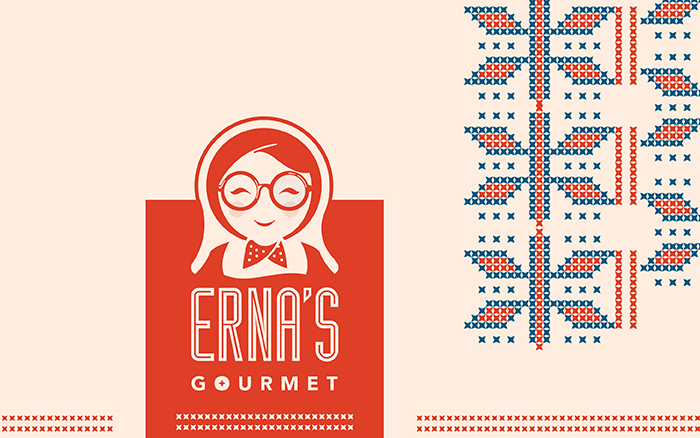 Erna’s Gourmet tells the story of ethnic, rustic, home-cooked Austrian European food, done professionally – started in 2007 by Maya Lisa Shankar. 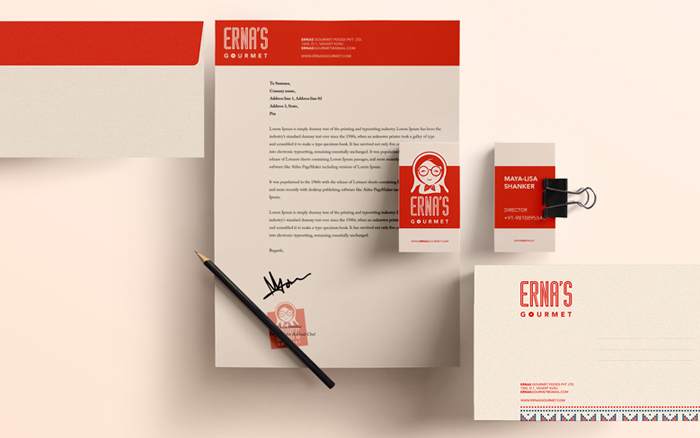 The initial branding was done by Prasun, as a freelance graphic designer, in 2010 (http://pmdindia.in/project/553/). 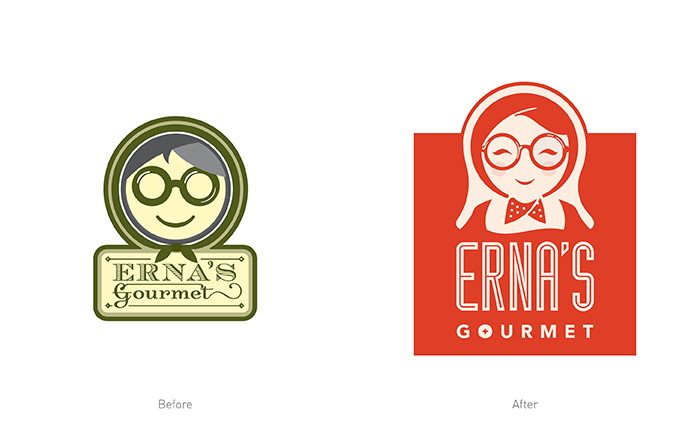 Maya named the venture after her grandmother, Erna; and on the milestone occasion of her one hundredth birthday, decided she wanted a rebranding done, and brought the project back to us, here at PMD. Erna has been ‘conjuring up delicacies’ for her friends and loved ones her entire life, and even today, continues to bake wonderfully inspiring dishes for Maya to then add her touch to, and provide for her dedicated customers here in Delhi. 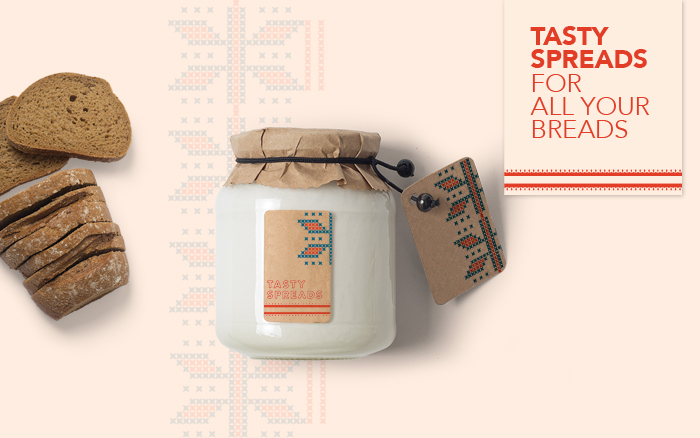 Maya wanted to bring authenticity and a personal touch into her food – which we then made sure we put across through the branding. 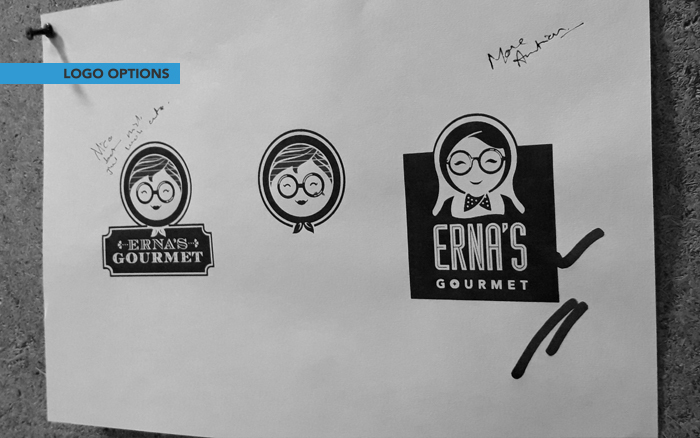 Erna’s Gourmet is now based in Vasant Kunj, and caters to various embassies and hotels, as well as individual home orders. 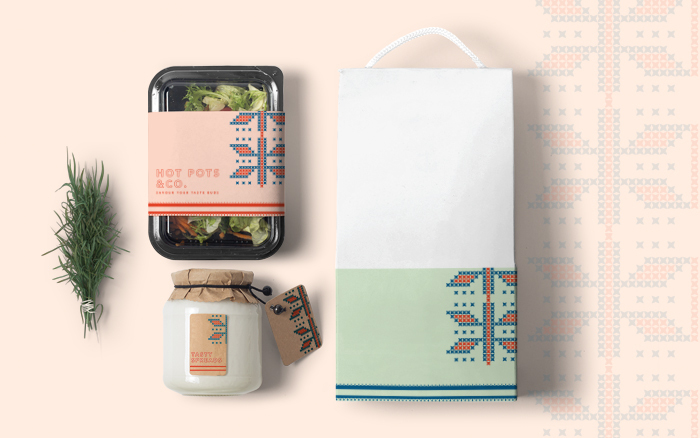 Serving melt-in-your-mouth food that takes customers on a nostalgic journey – Maya’s European legacy, and her incredibly hospitable Indian roots have come together to ensure an absolutely delightful experience every time. The rebranding exercise was done to ensure the identity stays relevant, contemporary, and adaptive to the rapidly modernizing industry. 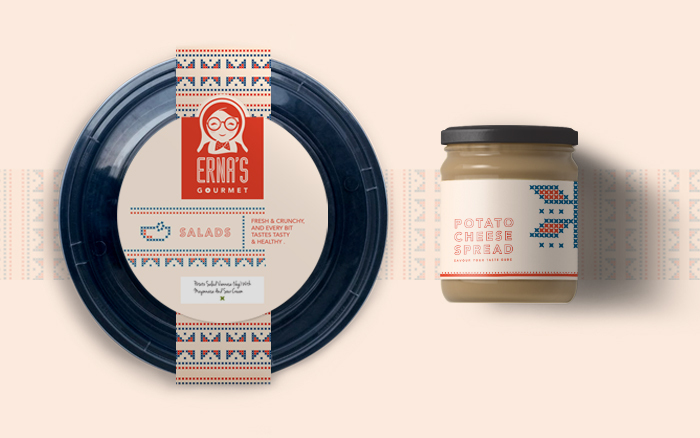 We were asked to create a new identity and brand language for Erna’s, without straying away from the grandmother’s mnemonic which had by then become a staple of the brand. 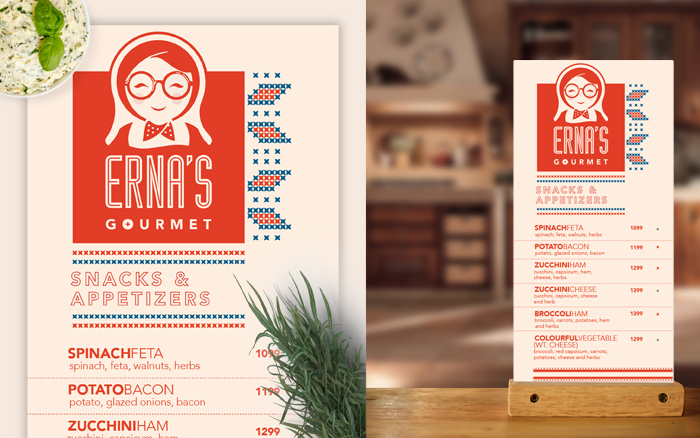 We looked to reinforce the vintage vibe by using a colour palette of beige, blue and saturated orange, and continued this look and feel through a set of icons, a rotational menu, and various placards and packaging collaterals, ensuring the brand has a rustic, and yet familiar feel to customers.